Although Guyana is located in mainland South America, it is often considered part of the Caribbean region because of its strong historical, political and cultural ties with the former British West Indies and CARICOM (the Caribbean Community). Historically, Guyana was inhabited by nine indigenous tribes and dominated by two of them, the Kalina and Lokono. The first European to sight the land was Christopher Columbus in 1489, but it was the Dutch who were the first Europeans to establish colonies in what is now Guyana. Although the Spanish tried to establish control over the region, the Peace of Münster between the Netherlands and Spain officially recognized Dutch sovereignty. To attract more settlers to their new colony, the Dutch authorities allowed Brutish immigrants to settle in the area near the Demerare River, luring them with the promise of landownership. As the number of British citizens in the region grew, so did their influence on the colony’s internal affairs. When France occupied the Netherlands during the Napoleonic Wars, the British used it as an excuse to declare war on France and occupy the Dutch colonies in the Caribbean. In 1796, the British assumed control over the Dutch colonies in modern-day Guyana in a bloodless takeover. The colonies were briefly returned to the Netherlands in the beginning of the 19th century, but the Anglo-Dutch Treaty of 1814 returned them to the UK. In 1831, British possessions in the region were formally united as British Guiana. 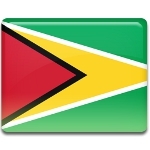 Guyana took the first steps towards independence in the beginning of the 20th century. Following a series of political and social changes, a new constitution was adopted in the 1920s, making British Guiana a crown colony. The first political parties began to emerge in the 1950s. Once the new constitution was adopted in 1953, most general elections were won by the People’s Progressive Party (PPP). However, the PPP lost the 1964 elections, and Forbes Burnham replaced the PPP’s leader Cheddi Jagan as Prime Minister of British Guiana. It was during his leadership that British Guiana gained independence from the UK. Following a constitutional conference held in London, the colony became an independent state named Guyana on May 26, 1966. Guyana Independence Day is celebrated with numerous events and activities held throughout the country. Many of them focus on Guyana’s rich cultural heritage. For example, the two-day Guyana Food, Arts and Music Festival, held at the National Stadium in Providence, includes Caribbean music and dance, fashion shows, family activities, and delicious creole foods (curry, crab, dasheen, fish soup, pig’s tails, green plantains, cassareep, and more). Other festivities include a flag-raising ceremony, the president’s address to the public, concerts and performances, and firework displays. Since Independence Day is a national holiday, most employees get a day off, and all schools and government offices as well as most businesses are closed.